I was having trouble understanding Sheridan’s change of mood, but I liked your explanation. 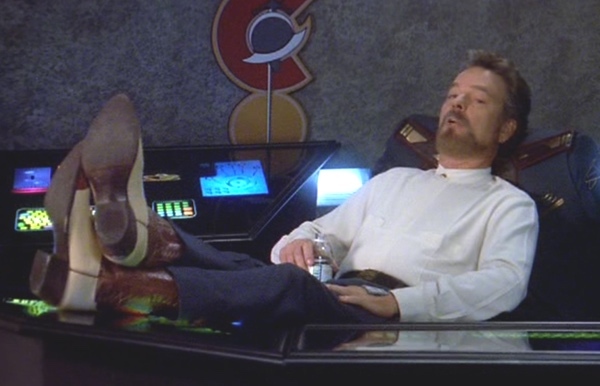 I was thinking Space Cowboy was gunning for boss of B5, so I’m glad that didn’t happen. (Or maybe it comes up again in the future??) And you guys pointed out how Sheridan and Delenn were both having some troubles settling into their new roles. I liked their discussion in the garden very much.